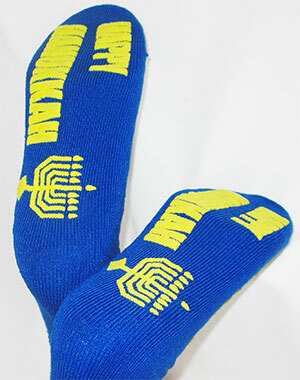 Celebrate the magic of Hanukkah with PromoTreds® custom printed slipper socks. Both fun and practical, PromoTreds® are available in a variety of complimentary sock and ink colors. As a gift from the host, PromoTreds® are the perfect gift for your customers’ Hanukkah gatherings. Encourage your customers to be creative with their designs and watch how powerful their message can be!